Hello and welcome to the Focused on Story blog. 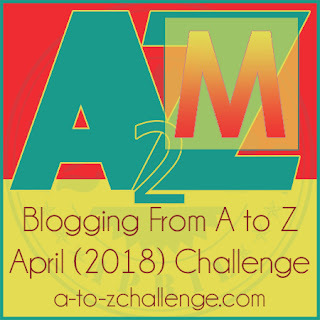 We are midway through this blogging challenge using the letters of the alphabet as prompts. Be sure to hop around to the other 100's of bloggers by clicking the MASTER LIST link at the end of this blog post. With the popularity of the movie, Despicable Me, minion became a household word. I had never heard the word until the movie released. The minion character makes me smile whenever I see one. What an inventive mind came up with the story, the Word Nerd who named the character a minion and creative artist who brought it all to the colorful screen. Rather than try to explain about the minion font used in printing, click here for the article about the origin and use of minion typeface. After digging around to find examples of minion as an adjective, I discovered the word is obsolete in this definition. Have you seen the movie, Despicable Me? Did you like it? Were you familiar with all the definitions for minion? Hi JQ, I didn't know minion could also mean a favoured person, or that it was a type of font. I knew about the film (movie) but I've never seen it. I've seen lots of merchandise, though! Thanks for another informative post!